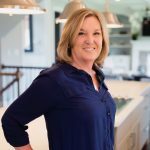 The pâté of the South… or is it? Exactly how southern IS pimento cheese? Well, I was curious myself and decided to check into it. Would you believe me if I told you Pimento Cheese got it’s start in the North? New York to be exact. Any guesses why? Because New York is where cream cheese got its start! Nope, not Philly. A dairyman by the name of William Lawrence from Chester, New York made the first cream cheese in 1872. He’s said to have accidentally invented it while trying to create a short-ripened American version of the soft French cheese, Neufchâtel. It supposedly failed but he ended up with cream cheese so that’s not much of a fail as I see it. So why Philly? Kraft explains that “Philadelphia” was adopted as the brand name, after the city that was considered at the time to be the home of top quality food. I don’t know, Lawrence Cheese, or New York Cheese just doesn’t have the same ring. Bill cheese? Nah. 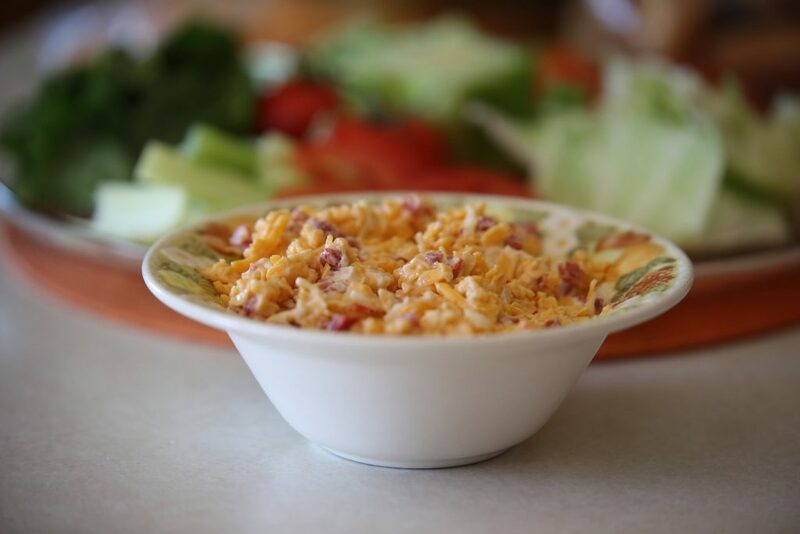 Not all pimento cheese recipes have cream cheese in them these days but back in the day they did. The late 1870’s brought us this delicious spread and around the same time Georgia farmers were experimenting with growing the Spanish pimento. Seems they grew REALLY well and there was a bit of a glut. What to do with these two odd products? Put them together like peanut butter and chocolate. Yum! And it caught on. There’s a Tennessee connection as well…Moody Dunbar, an East Tennessee canning company, started canning pimentos and then in time, a commercial version of pimento cheese. It seems for many folks, pimento cheese on white bread was a staple. And I was stuck in California not knowing about this deliciousness! Ok, yes, the pimento canning operation eventually moved from Tennessee to California but pimento cheese did not come with it. We were a guacamole family. SO, in honor of the Super Bowl, the South and to make up for lost time…. I’m making a pimento cheese recipe today. There are lots of variations, so it seems I have a LOT of testing to do! In the video attached you will see me making the recipe, provided below, live for the first time. In reflection there are a few things I’d do different with this dip. What I would change would be to drain at least one of the pimento jars before dumping in. Yes, it did come out fine but I like my dip/spread a bit thicker. I’d probably drain both. But Gigi makes a good point: If you choose to eat this with chips, keep the liquids! This particular recipe has a lot of zing and my family appreciates that. 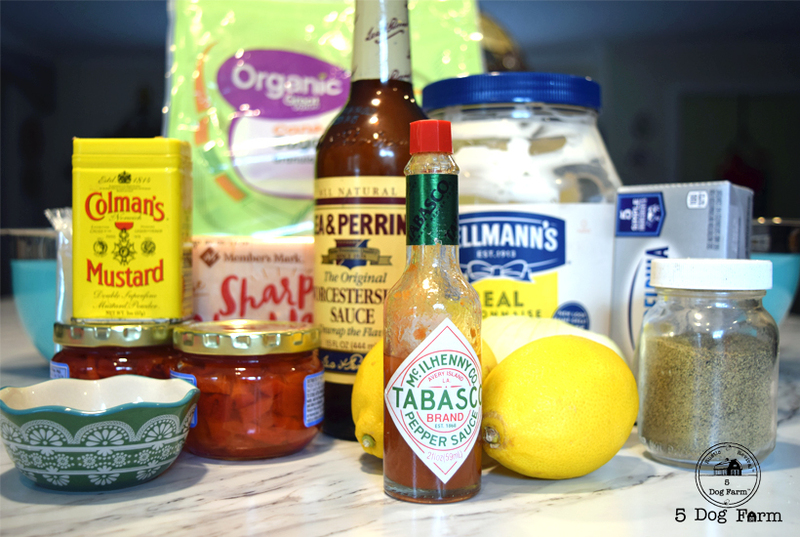 If you like less zing or zip, reduce the Tabasco a smidgen. I’ll probably add green onion next time around in addition to the grated white onion cuz that’s how I roll. In the end, play with it. This recipe is great on it’s own or dolled up for a more “sophisticated” offering. Anyway you make it, Pimento Cheeese is our families new Southern staple! 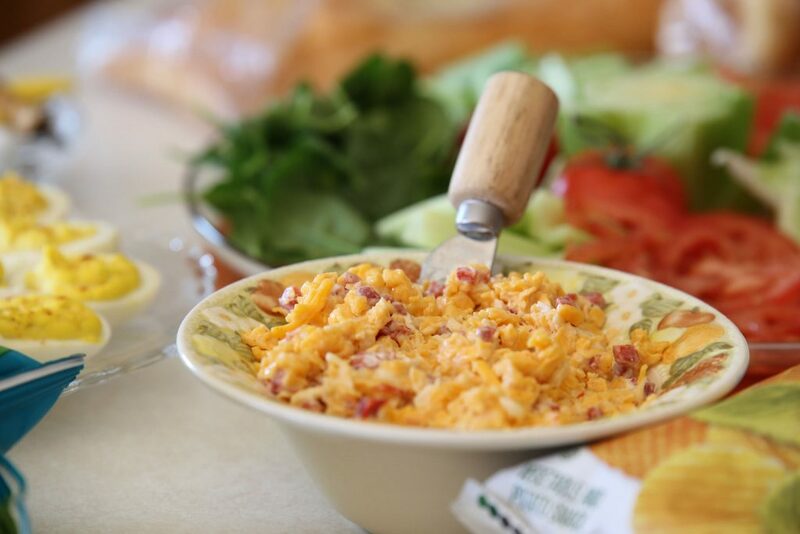 Do you like Pimento Cheese? Classic or a Modern version? A delicious and flavorful spread or dip! Stir together first 9 ingredients in a medium bowl until smooth. Stir in onion. Fold in pimiento and cheeses. Cover and chill 8 to 12 hours. Let stand at room temperature 30 minutes, and stir well before serving.